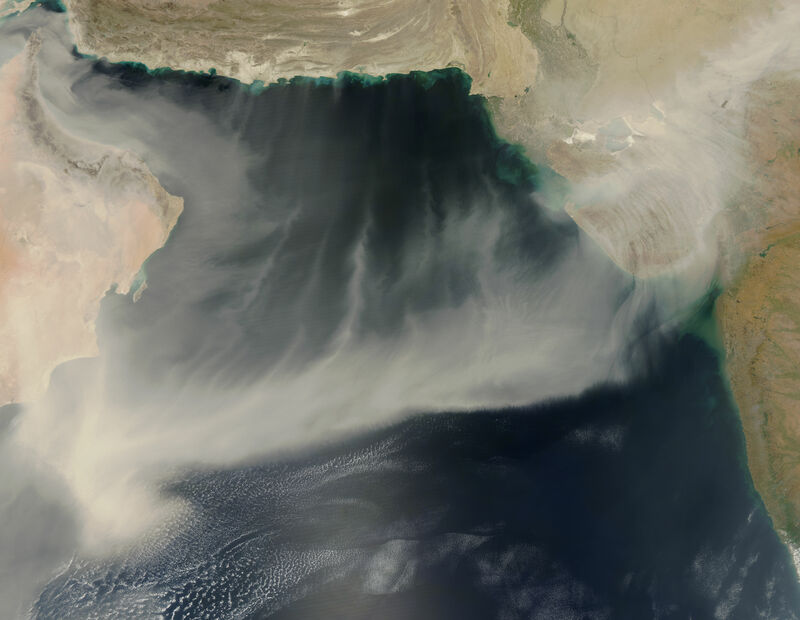 On March 20, 2012, a giant dust plume stretched across the Arabian Sea from the coast of Oman to India. 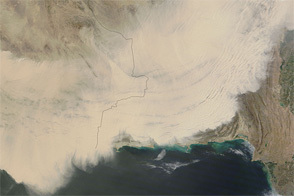 The Moderate Resolution Imaging Spectroradiometer (MODIS) on NASA’s Aqua satellite took this picture the same day. 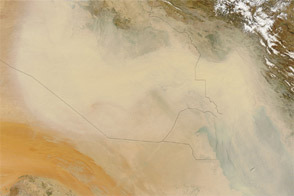 This extensive plume followed days of dust-storm activity over the Arabian Peninsula and Southwest Asia. 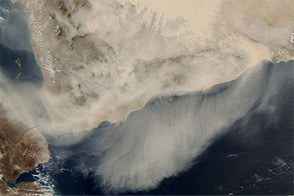 Gulf News reported that several meteorologists had characterized the late March dust activity in this region as a “super sandstorm” with effects reaching as far as Southeast Asia. 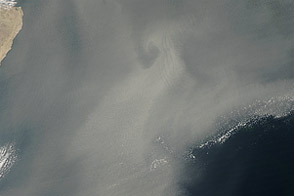 The dust storm resulted from the convergence of two different storms. 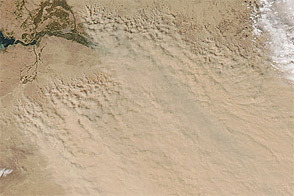 The first front carried dust from Iraq and Kuwait, and the second front stirred dust in southeastern Iran. 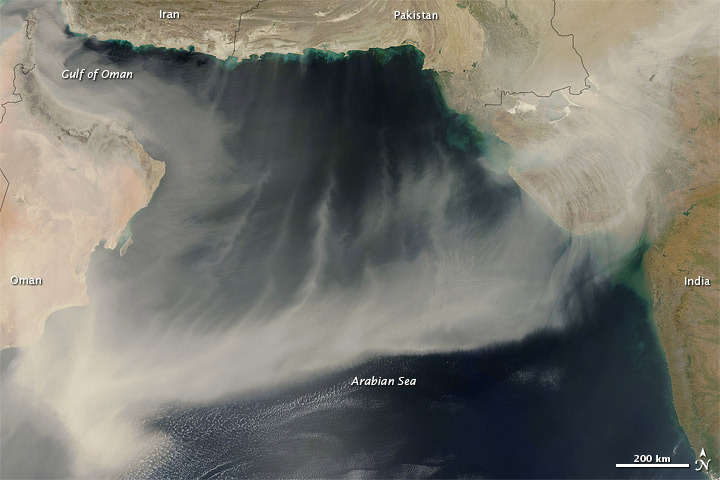 “For many it was the worst dust storm in recent years,” Gulf News said. 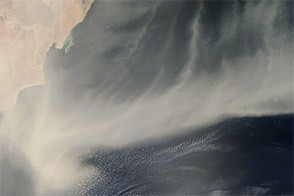 Acquired March 20, 2012, this natural-color image shows a dust plume spanning the Arabian Sea, from Oman to India. Kazmi, A., Ain, A. 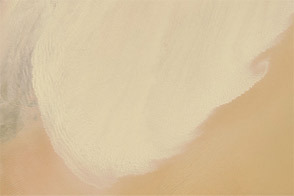 (2012, March 21 [local time zone]) Double trouble in the sands. Gulf News. Accessed March 20, 2012.